It's been a while since I made a recipe directly from one of the cookbooks in my personal library — I usually find myself taking bits and pieces from many to create my own recipes, or making changes to a cookbook recipe in order to make it my own. 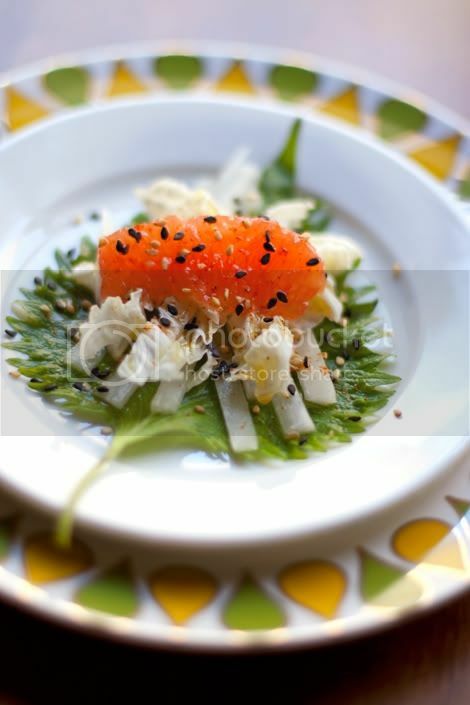 But since discovering a Sunrise Mart location near my office in Manhattan, I was inspired to pull out my copy of Chef Tal Ronnen's The Conscious Cook and make this gorgeous, light appetizer on an equally gorgeous summer day. These bites get a kick from added cayenne pepper, and are folded like a little roll-up when you're ready to eat them. If you're not in the NYC area and/or have never heard of Sunrise Mart? What a wonderful, fully-stocked Japanese market! Whenever you find yourself in need of items like shiso leaves, S&B curry powder, Japanese snacks and other uncommon imports in NYC, Sunrise Mart is where you'll find them. 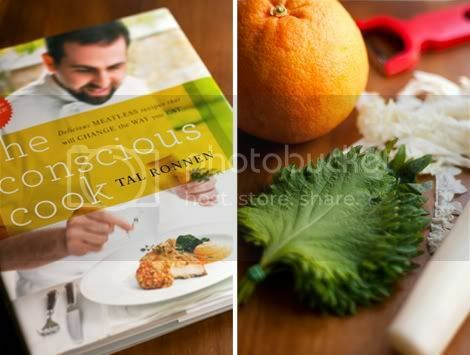 Chef Tal's Shiso Bites recipe can be found in his cookbook, The Conscious Cook, along with a bunch of other fab vegan recipes that I'm positive veggies and omnivores alike will love — he was Oprah's chef during her vegan cleanse, so you sort of almost can't go wrong. Highly recommended. 1. Start with a whole fruit — the largest tangerines, oranges, grapefruits, etc. that you can find. 2. 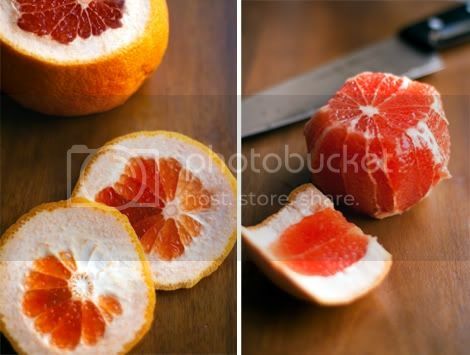 Cut off the very top and bottom of the fruit to reveal the colored center. 3. Set the fruit cut-side down on your cutting board and go around the edges removing the skin with a chef's knife, following the shape of the fruit until all of the peel has been removed. 4. Switch to a paring knife and put your knife between the membrane and the fruit segment, starting on the left side of each segment. Slice the left side of the segment first, then the right side between the membrane and segment, popping the segment out, free of the membrane and pith. Go around the fruit and do this for each segment until you've cut them all out. Viola! 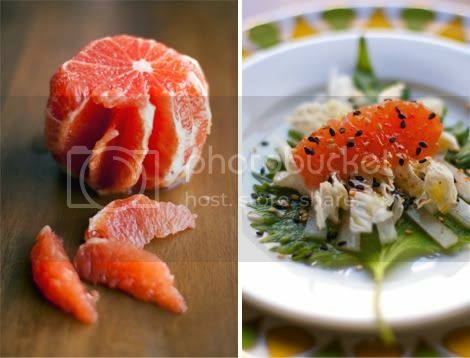 Naked fruit segments that look lovely in your final dish.